In the municipality of Caravino, 55 kilometers from Turin, you will find the Castle and the Park of Masino. The structure was built in the eleventh century by the will of the Counts Valperga, a family that claimed to be descendant of King Arduino and who lived here for more than ten centuries. Over the centuries it has undergone significant transformations, becoming a splendid country estate that can still be visited and admired today. The castle, located in a strategic position on the Monerica hill, dominates the area of ​​Ivrea from above. For this reason it was from the beginning the center of numerous battles, which saw as protagonists the Savoy, the Acaia, the Visconti and the same counts of Masino and the cousins ​​Valperga. Initially used as a fortress for its defensive role, the castle was surrounded by high walls and powerful watchtowers, which disappeared after the Renaissance to make way for the magnificent gardens. At the end of the eighteenth century the estate completely lost its defensive value to finally become a country house used for parties, moments of relaxation and fun activities. Inside the castle you can admire many frescoes (made between the '600 and the' 700), numerous and rich furnishings, the rooms of the ambassadors and the apartments of Madama Reale (so called because they were built in 1670 by Count Carlo Francesco I Masino for the wife of Vittorio Emanuele I of Savoy). Among the beautiful rooms to visit there is certainly the Ballroom, finely decorated and with large windows from which you can enjoy the view of the great park of the castle. And then the Sala degli Stemmi, the Sala dei Gobelins with its magnificent tapestries and the Salone dei Dei, sumptuously decorated as well as the Galleria dei Poeti. Outside the large Terrazza dei Limoni and the smaller Terrazza degli Oleandri, from which you can enjoy a truly enchanting view, surrounded by greenery and the peace of the Piedmont countryside. The castle also includes the eighteenth-century stables and the carriage building, which are located in a building detached from the palace and more precisely at the entrance to the estate. In the Museum of Carriages you can admire 12, most of the nineteenth century, including: the carriage for gala, the coupe, the vis-à-vis, the buggy for children, made by the most important Italian coachbuilders of the time. The Masino estate is also surrounded by a huge park, completely renovated between the eighteenth and nineteenth centuries according to a style defined English. Really a splendid example of a garden where you can also find a Hedge Maze, visible from the castle, the Garden of Cypresses and the road of twenty-two laps. The first written records of Masino's labyrinth date back to 1753. Recently, this splendid labyrinth in the Castello di Masino park has been restored and brought back to its ancient eighteenth-century splendor. 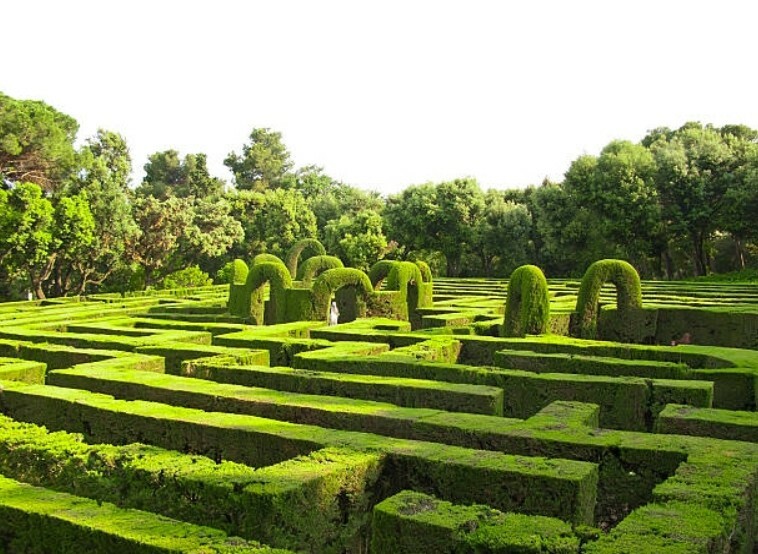 The labyrinth of Masino was in fact reconstructed scrupulously following the eighteenth-century design found in the archives and using over two thousand hornbeam plants cut with meticulous regularity. Today, the Labyrinth of Masino is the second largest in Italy and is protected by the FAI (Italian Environment Fund). Do not miss the opportunity to visit and lose yourself, as the nobles of the time used to do, among its green walls. And if you really can not find the way, in the middle there is a turret from which you can see the exit. In addition, the Castle always offers numerous events and activities such as guided walks in the labyrinth, the consultation of the books of the beautiful library and the hot air balloon ride. There are also many activities for children such as the Treasure Hunt on the trail of King Arduino. In the castle there is also a nice panoramic cafe where you can take a sweet break admiring the gardens and terraces from above. In short, a place to have fun and spend a wonderful day with the whole family. Opening 2019: The Castle and Park of Masino was reopened to the public on Friday March 1st. Opening hours: from March to December 10th: Tuesday to Sunday: 10.00am - 6.00pm. closes at 18 (on holidays). Family: € 27. Allows, in addition to entrance to the majestic Park and the treasure hunt, the entrance to the Castle and a guided tour of 45 min. with a discounted rate for families of 2 adults and up to 4 children (4 - 14 years). Schedules and tariffs may change. 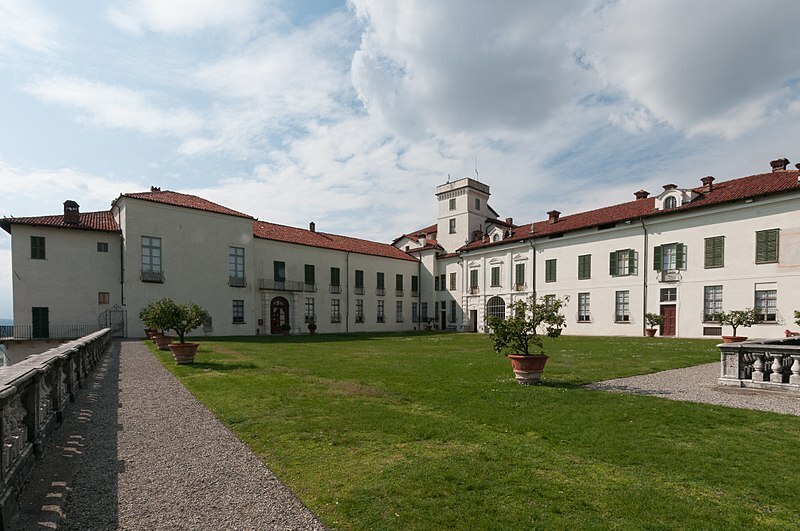 For more information on the Castle and the Park of Masino, on guided tours, activities, events and other discounts you can consult the FAI website.